The presence of polyacetylenes found just beneath the peel, has shown promising results in clinical studies for its anticancer, antifungal, antibacterial, anti-inflammatory effects, as well as its ability to boost serotonin levels naturally. 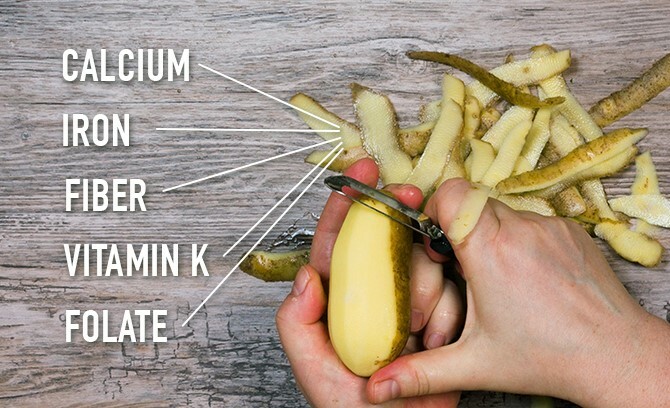 If you want to achieve these benefits in full, leave the skin on the cucumber – most of the nutrition is concentrated in the peel (as well as the seeds). Grow or buy organic to avoid synthetic waxes and the notably high pesticides commonly found on conventionally grown cucumbers.